Tony oversees Rowan technology and all its endeavors. He has over 30-years of experience as a technology and operations leader in the United States Army and financial services sector. He retired from the Army as a Lieutenant Colonel, and participated in many deployments, including Operation Desert Storm. He currently serves as the Chief Administrative Officer of Virtu Financial where he is responsible for the design, implementation, and day-to-day operations of the firm’s non-trading activities, while remaining fully integrated with the technology development and infrastructure of Virtu. 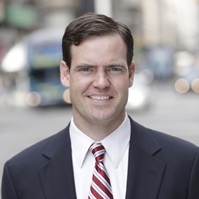 Tony worked previously at both Goldman Sachs and Lehman Brothers before coming to Virtu. Having taught mathematics at West Point and teaching as an adjunct professor for many years, he is excited to push the envelope of digital education technology in order to transform learning inside and outside of the classroom. Tony graduated from the United States Military Academy in 1977. He holds a MS in robotics from MIT as well as numerous other advanced degrees in finance and management. Matt oversees all day-today operations of Rowan, including Design, Content Production, UI/UX, Technical Programs, Strategy, Sales, Marketing, Customer Relations, and Business Development. His expansive skillset is the result of an equally-broad career spanning the fields of design, architecture, finance, research, cartography and urban planning. With a particularly distinguished background in design, Matt conceptualizes and oversees the creative output of Rowan with a critical eye and attention to detail. And as a trained technologist and innovative thinker, he expertly works across various specialties to develop new technologies and specialities. He is highly-adept in resource management and under his management, Rowan has been able to chart a course that is both sustainable and growth-oriented. And his bold and creative thinking, with a expert understanding of the the industry, is helping Rowan forge new and exciting territory in digital education. Matt received his BS, with high honors, from the University of Southern California. And he received his Master of Architecture from Harvard University, where he was awarded the Presidential Fellowship, John mead Howells Fellowship, Heffernan Award, and the Starr and Arthur Lehman Scholarships. He is currently the Chairman and CEO of Virtu Financial and served as both the Vice Chairman (1993–1996) and Chairman (2001–2004) of the New York Mercantile Exchange. Mr. Viola has launched a number of successful businesses during his career, including Virtu Financial and a regional banking group in Texas that is now listed on NASDAQ (IBTX). Mr. Viola co-founded and was Chairman of the National Children’s Educational Reform Foundation, which is dedicated to the fundamental reform and improvement of inner-city education with an emphasis on bi-lingual programs in immigrant communities. Mr. Viola has served on the West Point Fund committee, an arm of the board of trustees that supports academy cadet programs. In 1997, Mr. Viola received a man-of-the-year award from the Eden School for Autistic Children. In 1998, Mr. Viola was awarded the Ellis Island Medal of Honor by the National Ethnic Coalition of Organizations. In 2000, he was honored with the community service award from the Futures and Options for Kids charitable organization. Mr. Viola served in the 101st Airborne Division and completed both Ranger and Airborne Schools. He graduated from the United States Military Academy in 1977, where he continues to support the many endeavors of the school, including the Combatting Terrorism Center (CTC) and the HistoryDepartment. In 1983, he graduated from New York Law School with a juris doctor degree. General Abizaid has had a distinguished and storied career in the U.S. Army. He served as the 66th Commandant of Cadets at West Point from 1997 to 1999, was the Director of the Joint Staff, and Commander of United States Central Command. His military education extends to being a graduate of the Armed Forces Staff College and an Army War College Senior Fellowship at the Hoover Institution, Stanford University. Following his active duty service, he served as the Distinguished Chair of the Combating Terrorism Center at the United States Military Academy at West Point. He works with the Preventative Defense Project at Stanford University and Harvard’s Kennedy School of Government. Through JPA Partners, LLC, General Abizaid provides strategic and analytic consulting services to corporate, non-profit, international, and government clients. General Abizaid graduated in 1973 from the United States Military Academy. He also received the Olmsted Scholarship at the University of Jordan, Amman, and a Master of Arts degree in Middle Eastern Studies at Harvard University.